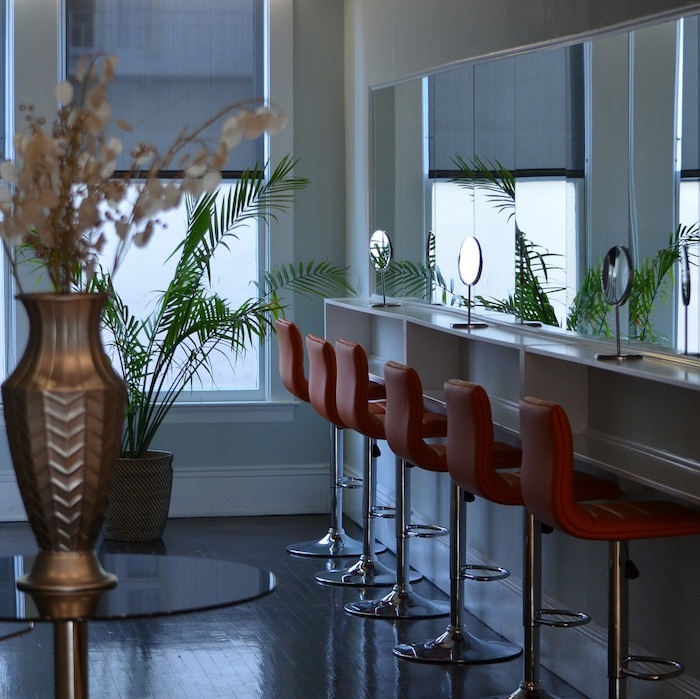 Having a clear vision of your salon’s branding and vision is key when it comes to creating interior concepts. The Curious Comb in Greenwich is a glowing example of how a quirky concept can turn into a dynamic and inspiring salon space. We spoke to Salon Manager, Selena Pang about executing such a strong visual whilst keeping consumer friendly. 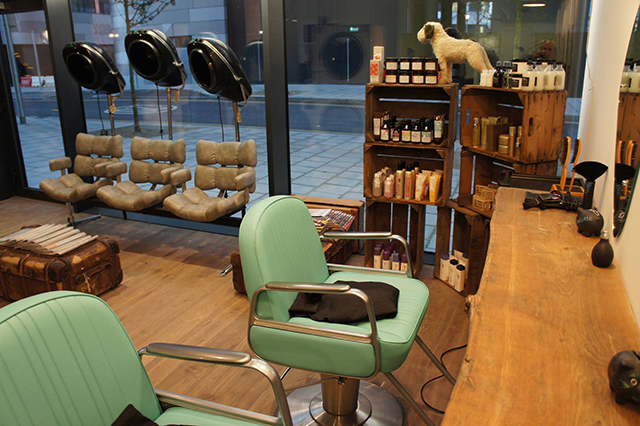 ‘Moving to a larger premises was a great excuse to update the salon interiors and create a new, innovative look. The original interiors were heavily influenced by the 1940’s era and had a lot of dark wood, velvet and ornate detailing. Stepping into the old salon felt abit like stepping into your Grandma’s living room; full of oddities and nick nacks that had been accumulated over the years in a haphazard, bric-a-brac style. The new premises was in a busier location within a modern apartment complex and a bustling community centre, so our interior needed to reflect this. I still wanted to maintain the best bits of the original design – the vintage, quirky feel and homely atmosphere, but to inject an updated mood to the salon decor. Taking inspiration from 1950’s americana with influences ranging from launderettes to beauty parlours, the inclusion of retro furnishings like hood dryers and luggage trunks gives The Curious Comb its endearing and homely quality. Feeling inspired? See more Salon Interiors.